Hi everyone! Happy Saturday night. It's been a busy day at my house. Grocery shopping, cleaning, washing bed linens, etc. You know that routine. Anyway, after treating the kids to pizza for dinner I finally got a chance to play at my craft table. I received my first shipment of stamps from Raisin Boat. 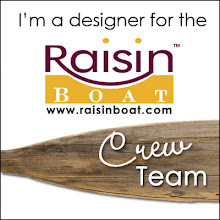 If you've not heard of Raisin Boat, this is a really cool company created by two mom's - Kim & Bobbi. They created the Netflix of the stamping world. It works a lot like Netflix but it's way more fun. They have an exclusive line of stamps that are fantastic and a store stocked with card stocks, embellishments, papers, etc. I can't wait to have more money so I can get some of their card stock - the colors are gorgeous! Raisin Boat will be sponsoring Tuesday Morning Sketches in the very near future, but I am also trying like heck to be on their design team - so I wanted to play with the stamps to become Boat Crew worthy. This is from a set called Imagine. It's beautiful. 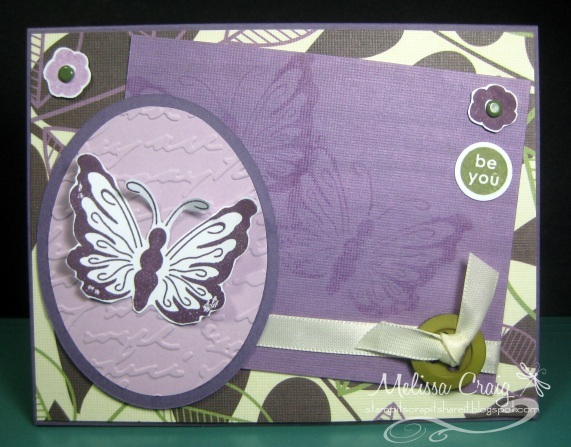 I combined my favorite colors (purple and olive green) with a great layout from Quirky Crafts Challenges. I am super pleased with my card. Look at this guy? His name certainly fits him, don't you think? He's so sweet. 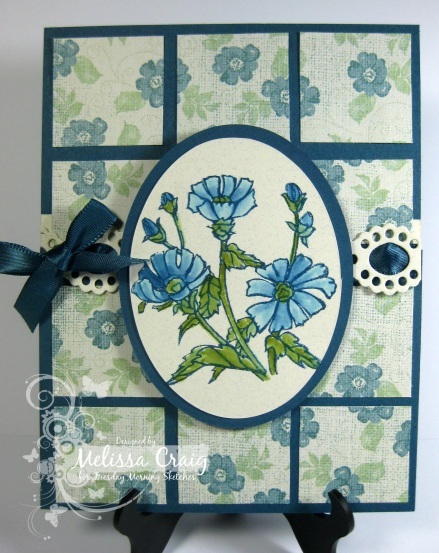 I used the beautiful Pretty Pattern at My Time Made Easy for this card and I am pleased with how it turned out. Good Morning! I hope you're doing well. I am exhausted!! But look later this week for the book that I was on a marathon to get done. I love how it turned out. This gave me some practice, too. I know I'll be making a few more of these. Also a quick shout out as I clutch my heart... HAPPY BIRTHDAY to my son Levi - he's 13 today. Ugh! Let's talk about Tuesday Morning Sketches. 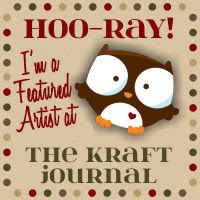 We have a great sketch designed by Jessica and we're being sponsored by My Creative Classroom. I am so thrilled with having them join us - the classes that they offer are awesome and the prize is one for free. 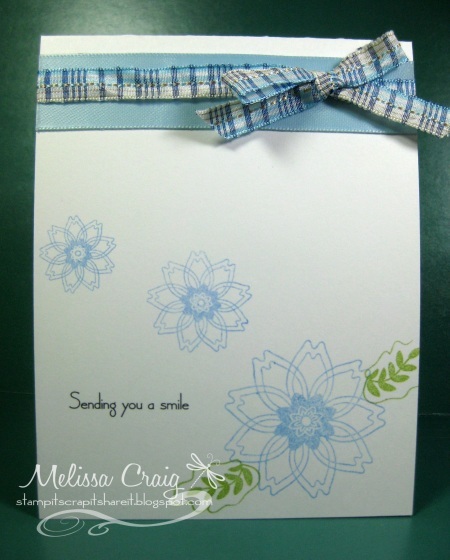 So here's my card and I was really excited to get to play with new stamps from My Time Made Easy. I am also playing along with CAS-ual Friday's challenge to use pastel colors and black. Loved this! And I am playing along with Raise the Bar, the theme is In the Garden. So appropriate for this time of year. I hope to see you over at Tuesday Morning Sketches this week. I love paper piecing, it makes it so easy to get your card done quickly. I have two cards to share with you, too. The first features a new set by ARTish. This is Blossom and he is the sweetest little bunny. Don't you just wanna squeeze him? I also used an adorable sketch from Taylored Expressions - she was right when she said you have to do this one. It's awesome! I love the results with my card. I am REALLY happy with how this card turned out. The colors, the layout and super cute image! So darn cute I could just squeal. Ahem. OK, little too much excitement there. The layout is from another fabulous sketch - this one is from The Sweet Stop. And I did both the piecing and the piercing. Good Morning! I hope you all had a great weekend. Mine was good. My Saturday was so productive. I got up early, I made 5 cards, got my grocery shopping done, colored my hair and just had a good day. Sunday, I worked on that album all day. Not going to say too much about it - I can't wait to share it with you though. So let's talk about Love to Create. Wow!! There were a lot of people that linked up their cards and projects last week. I hope we have just as many players this week. 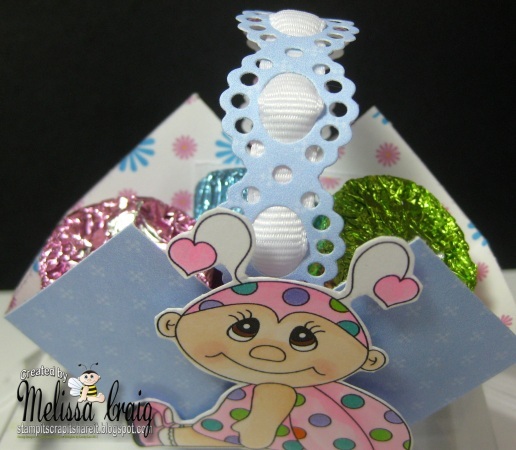 This week's challenge is sponsored by Michelle's Scrapbooking & More. 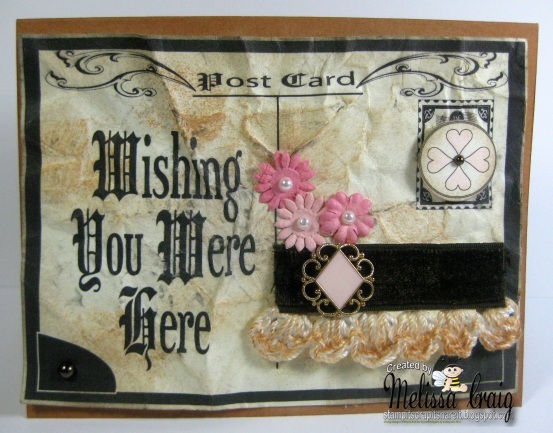 Michelle's Scrapbooking & More is home to The Pixie Cottage stamps. In addition to our stamp line we carry many other popular lines of stamps, Copic Markers, Spellbinders, punches, paper and more. Again, I'd like to ask you to challenge yourself. Don't just merely throw an image of a man or boy on your card and link it up. Try the sketch, too. Have fun with this. Hi there! Thanks for coming back. 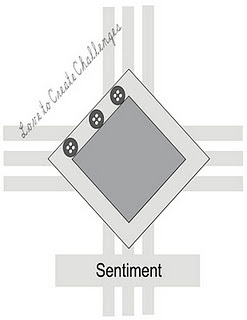 I've been really anxious to share this week's challenge card with you. The soft colors and sweet digi paper just makes me feel so happy! The Pretty Pattern is an easy one with so much possibility. Now I stayed true to the pattern, but of course, you're welcome to flip it or change a shape to make it all your own. Sketches are a jumping off point for your creativity. 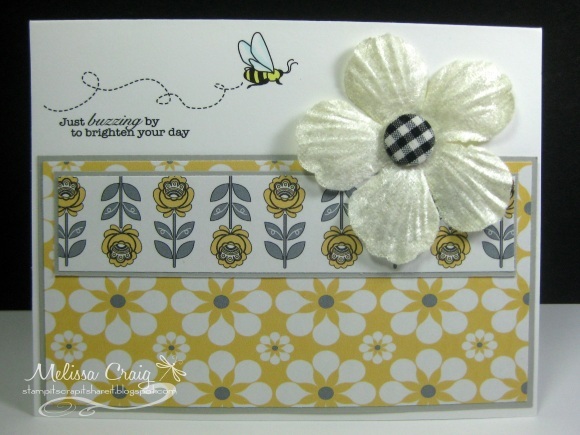 My card features a paper from the Cool Escapes digi paper pack and a beautiful daisy image from Bee Loved. I LOVE this set! Oh, oh... and I just ordered a couple of other stamp sets from My Time Made Easy that will be here any day now. I am soooo excited. I didn't really have the money, but I just couldn't resist any longer! LOL!! So now I hope I make bonus for this quarter because my "bets will be called soon." Anyway, I hope you play along with us. 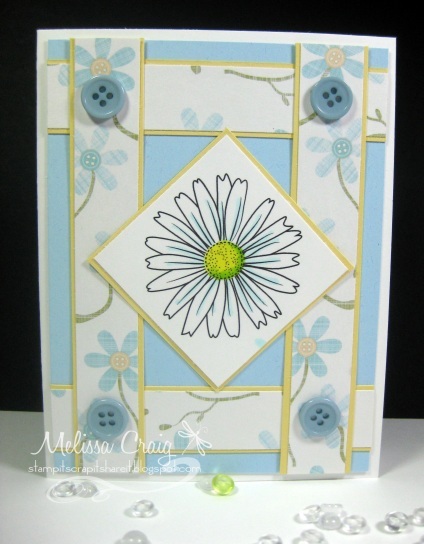 Head on over to MTME blog for this week's Pretty Pattern and see the wonderful cards the rest of the team created. Have a great day! Good Morning! Thanks for stopping by for another installment to the Tuesday Morning Sketches challenges. You're going to love the sweet sketch that Kathy created for us. 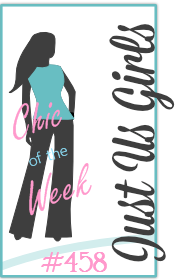 We've got a super sponsor this week (like always every week) - The Stamping Boutique. And big news.... TMS has 500 followers now! Whoo-hoo!! 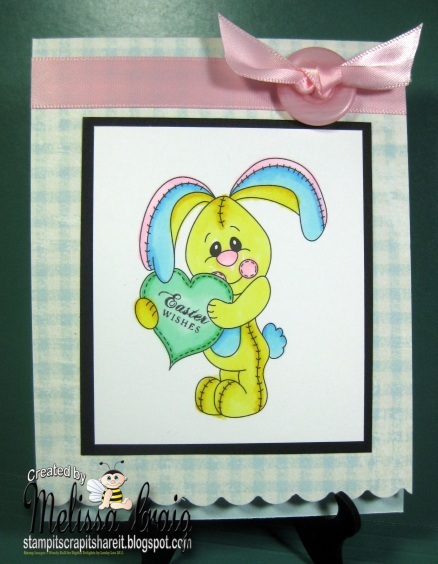 So not only will there be a prize from The Stamping Boutique, but I'll offer a prize, too. Be sure to visit the TMS blog to get all the details. OK, so off you go. Get over to the TMS for more inspiration and fun! I love Easter. I have fond memories of a lovely woman named Miss Virginia being our Easter Bunny. She would leave us treats at our door on Easter morning and that was so special. It's also means the beginning of Spring. Even though it's been in the 80s here in Florida which is summer weather to me, trees are blooming. I love Spring colors, too. Pastels are one of my favorite palettes. And this cute new little sheep is adorable. I just love ARTish's images. I did use the sketch from My Favorite Things. I don't think I can play along with their challenge, but I loved their sketch. Personally, I am not fond of these challenges because I'm not challenging myself at all, so I also added my Monthly Card Traders Group. 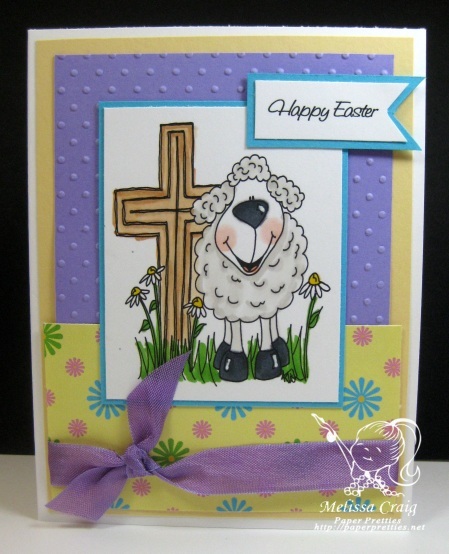 We have a challenge this month to make Wiper Cards. What do you think? I love the colors, I love my new Spellbinders dies (got them on a GREAT sale) and I am quite pleased with my wiper card. I really encourage you to challenge yourself when you're playing along with us this week. You're allowed to combine Love to Create with as many other challenges as you'd like. Good Morning! Happy Thursday - and it's always happy when I have fun things to share. Now let me tell you.... I had a FABULOUS time creating this card. I love that MTME digis come in .png format because this makes it so easy to layer images. So visualizing the card on a word document I laid out the images and then printed it directly onto my card base. Then I printed up some digi papers from the Spring Abound digi paper pack. And I am absolutely thrilled that I FINALLY got to use one of the gorgeous velvet flowers that my friend Jackie gave me a loooong time ago. I abosolutely love the simple elegance to this card. 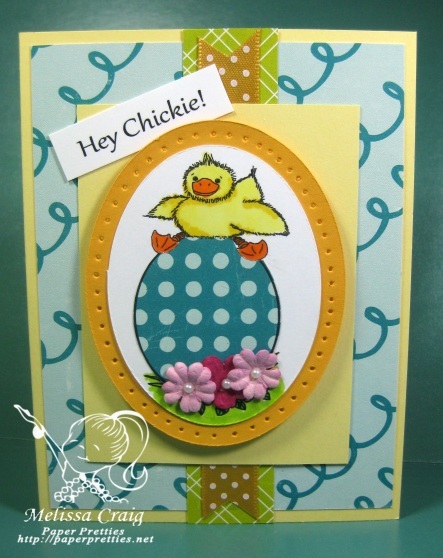 Click here to visit the blog so you can see the wonderful cards from the DT and play along. Good Morning! Happy Tuesday! 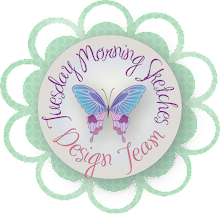 I am so thrilled about this week's Tuesday Morning Sketches challenge is the Judged Challenge so it has some added twists and turns and extra fun. And we're sponsored by There She Goes stamps, so then to top it all off, we have some fun stamps to play with, too. So we have a sketch designed by me. The added twist is Monochromatic. Now I know we all played with this same type of challenge last week with Love to Create, but I had already scheduled this part of the challenge quite some time ago. Too late to change - so we'll just play with it again. I love this swivel card. Behind the bow is a brass brad from the office supplies store. And behind that front panel is the greeting. Now another fun thing about my card - I actually dug into my stash and old techiques. 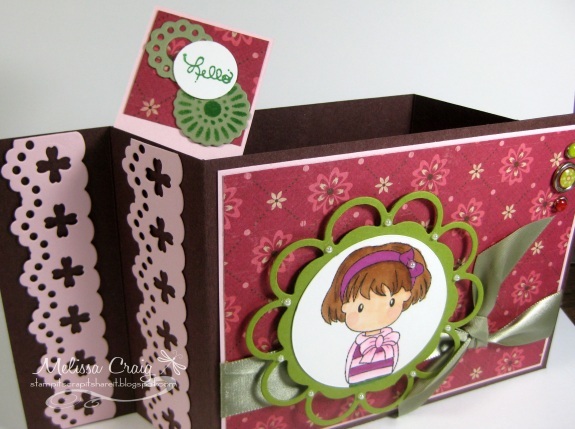 The paper is vintage Stampin' Up! and the coloring technique - well, let's just say I was pleasantly pleased that my blender pens still work. I haven't colored with a blender pen and inks in years. So join us, and heck, while your add it - really push yourself and play along with TSG, too. We've got a couple of really cute animal characters releasing by ARTish. 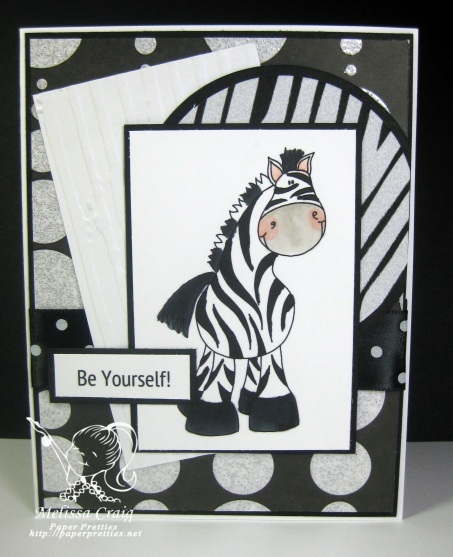 I am using Zebediah the Zebra and I paired him with some free digi paper that I found on Free Digital Scrapbooking dot com. I found another great challenge to play along with. 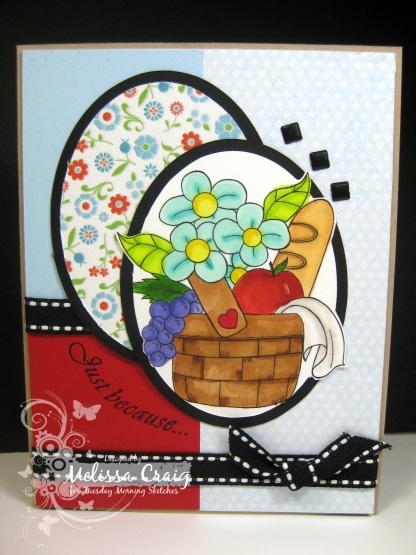 It's called Sweet Stampin Challenge. The challenge is lots of layers but they also had a sketch. 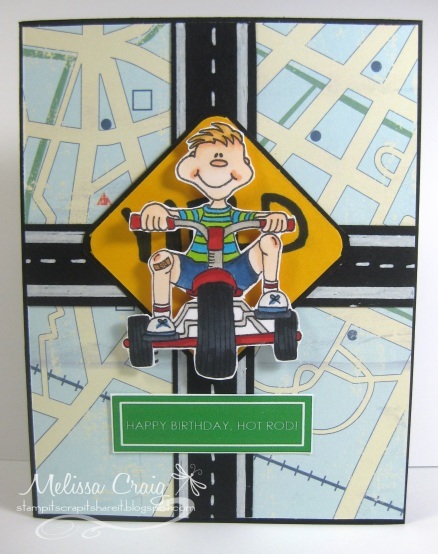 I didn't do quite as many layers as was on the sketch, but I love how this card turned out. Be sure to head on over to Paper Pretties - we're also debuting a new artist and there's a freebie in it for you! Hi there! Thanks for coming back. This week's My Time Made Easy Pretty Pattern is sooo pretty! I love this and I love how my card turned out. I really want this this set in rubber format. Don't get me wrong, love love love the digi format, but sometimes you just need to feel a block in your hand. I let these great digi papers from the Amour collection set the color combo. These pretty pinks contrasted with black is perfect! The tulip is from the Bee Loved stamp set. This is perfection - well, at least as close to it as I can get. Good Morning everyone! I am a little sad today - today my big baby turns 17! Ugh!! When did that happen? He was just the little guy that didn't leave my side a minute ago. Sigh. Anyway, just a quick shout out to wish my son Brendan a very Happy Birthday. Now, let's move on to today's Delightful Challenges. 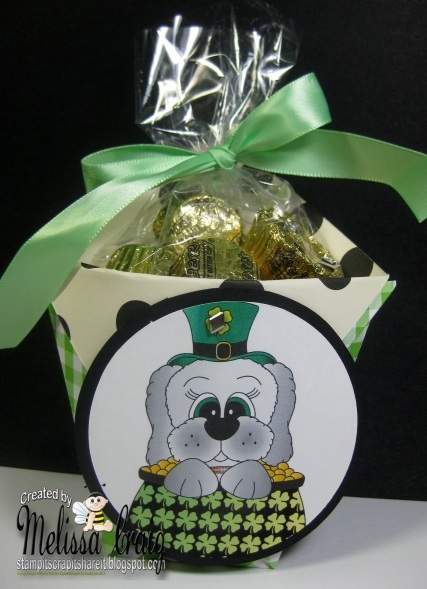 This week we're playing with St. Patrick's Day projects. 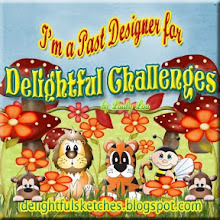 I have definitely been all about quick projects and Delightful Digi's by Looby Lou makes quick projects sooo easy. So like I said, we're making St. Patrick's Day projects. So I started with an easy diaper fold pouch, you can find the tutorial here on SCS. Then I found a piece of single sided dp in my stash that I really didn't want to showcase. I cut it down to 8 1/2 x 11 so that it can go into my printer. 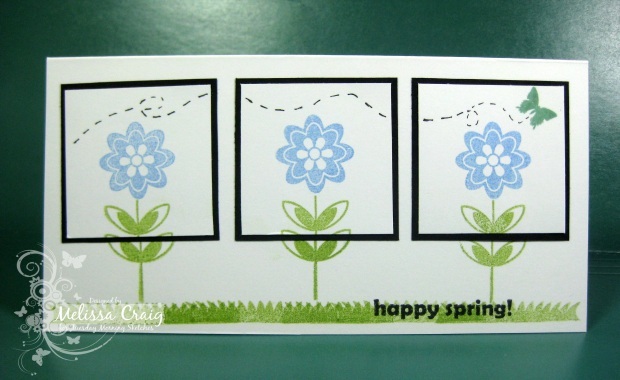 I then printed the green gingham pattern from the Spring has Sprung digi paper pack. Then I created the diaper fold pouch. I also printed the pre-colored St. Patrick's Day Bongo for the tag and then added it to the pouch. Threw some gold wrapped chocolates into a cello bag and viola'... DONE! Now it's your turn - let's see what you create for St. Patrick's Day. Good Morning! Happy Tuesday and I think my card this week is pretty darn happy. Our very own talented Marie created the sketch we're playing with and the challenge is sponsored by Guylou's Inimitability. A word of thanks to Guylou for the fun images to play with. Happy right? The colors are so bright you can't help but feel the warmth and sunshine. I hope you come along to play with us - we're a lot of fun. I really wish, after I got my card together and stepped back to look at it, that I would've colored him a bit lighter. Maybe it's just that he didn't photograph well this way, in person he's pretty cute. 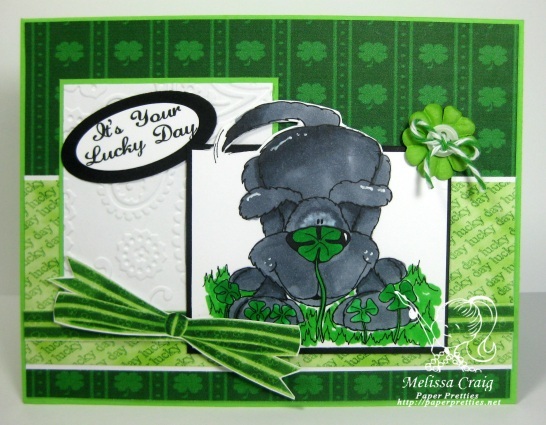 I found this really great St. Patrick's Day digi scrapbooking kit for free by S. Braxton. I wish I could say how I stumbled onto it because its really cute. But what I can tell you is where I got the inspiration from.... the layout is from the great sketch at The Sweet Stop and I also added a bit of twine just so I can squeak in with the Joni and Team at Raise The Bar. ]Alrighty, enjoy the rest of your day and join us in the fun. Hi again! Thanks for coming back. We've got a fun New Release, too. Such adorable images and I just love the one I got to play with. His name is Chompers and he's sooo cute. I used some bolder colors than what Spring suggests, but taking inspiration colors from the fun digi paper pack called Spring has Sprung - the Pixie Pink and the Tempting Turquoise matched perfectly. My card is pretty simple but I like how it turned out. Good Morning! Happy Thursday. I do hope your week is going well. 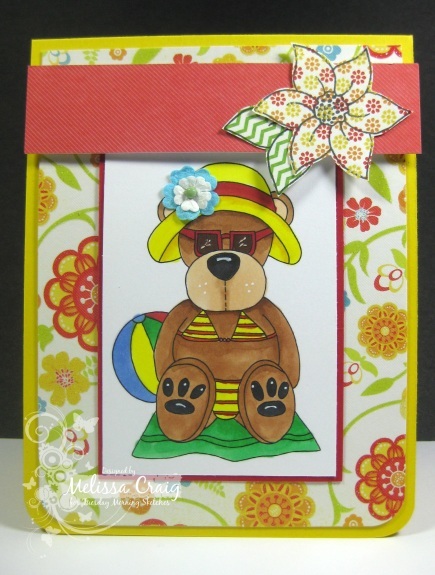 I have a sweet card to share with you for this week's MTME Pretty Pattern #50. The sketch is easy, very versatile and so adaptable to any theme. 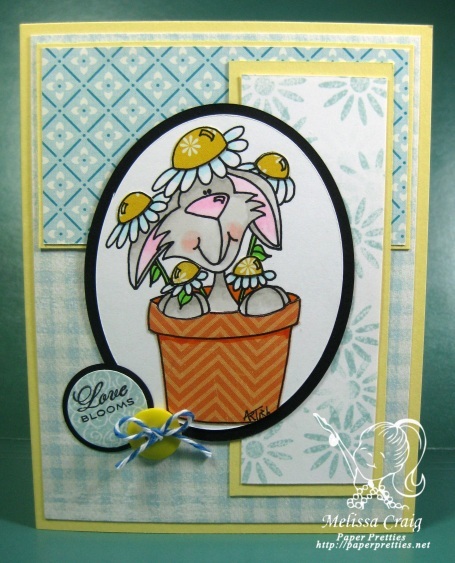 My card features the lovely papers from the Romance digi paper pack and the sweet little bear from the Wonderful Woodland Creatures set. The two together created a sweet little baby card. 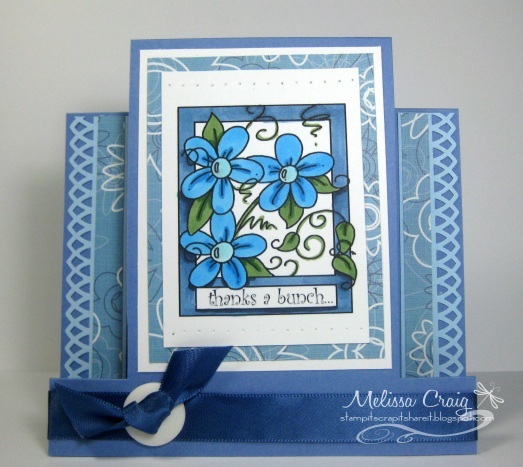 I added some texture with the Diamond plate embossing folder and then embellished with a cheater bow. If you've never caught Tresa Black's You Tube video on cheater bows, you have to. Click here for some fun entertainment and cool tips.